Any women who likes to pamper herself or enjoy some spa time will certainly love one of these fun t-shirts. Pampered and proud of it says it all. Don’t we all enjoy showing off our personal style? And these t-shirts do just that. We all live in a crazy world that gets way too hectic sometimes. That’s when pampering is such a great way to refresh and renew ourselves. But, having one of those funny sayings on your t-shirt that tells the world you are pampered is just plain fun. Any of these t-shirts are available in a number of different styles. Some long-sleeved, some sleeveless, with other color variations as well. You can pick those that work best for your or your gift recipient. These can also be customized. Try adding a first name, a nick name or even just a cute saying to go with the image. If you are a talented artist yourself, you might want to try your hand at creating your own pampering t-shirt. It’s actually easy to do. So dig in and have some fun! 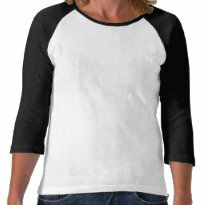 Special women deserve special gifts and humorous women will love these humorous t-shirts. But you can complement the gift with other spa items. Try a spa therapy gift set, or the art of zen spa basket. Making a theme out of your gift will be a great way to tell that special woman she deserves it. We all have trouble coming up with unique gift ideas. So make it easy on yourself and give a funny t-shirt to those women who love to pamper themselves, or at the least, deserve it. Remember that could be you, too. I agree! Special women like us deserve special t-shirts! LOL We have to let the world know we are deserving of pampered gifts!